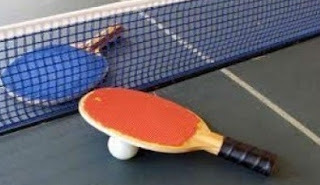 Kolkata, June 27: Anthony Amalraj and Swedens Mattias Karlsson essayed key roles in paving Maharashtra Uniteds march into the semi-finals of the Ultimate Table Tennis (UTT) tournament at the Netaji Indoor Stadium here on Wednesday. In a tense encounter against Warriors TTC, United achieved their goal of advancing to the knockout stage in the sixth contest of the tie, when Karlsson tamed star player Sharath Kamal 3-0 to give his side the required 11 points. Madhurika Patkar lost the last match 0-3 but by then the fates of both the teams were sealed, with Warriors now having absolutely no chance of making it to the last four. Romania’s Elizabeta Samara, another star for United, set the ball rolling, comprehensively beating Pooja Sahasrabuddhe 3-0. Amalraj and America’s Lily Zhang then upstaged Achanta Sharath Kamal and Sofia Polcanova 2-1 (11-10, 11-9, 6-11) to give United the crucial 5-4 advantage after the first three matches. Elizabeta Samara also downed Sofia Polcanova 2-1 (9-11, 11-10, 11-10) in a tense battle that was decided by golden points. Chih Yuan Huang fought a valiant battle for Warriors, winning both his singles to level the scores twice. The World No. 15 from Chinese Taipei downed Amalraj 3-0 (11-6, 11-6, 11-6) as Warriors equalised the tie 3-3. He then upstaged United captain Joao Monteiro 2-1 (6-11, 11-4, 11-8) to help Warriors pull level at 6-6. But the Polcanova and Sharath’s defeats meant that Warriors were out of the reckoning. Previous articleUnglaublich: Diese Hollywood-Beauty hat keinen Stylisten!